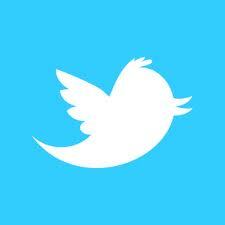 We continue the conversation of utilizing social media strategically with the network of Twitter. This web app developed from a simple SMS conversational tool to a complex networking tool that has a professional appeal among ministry and tech officials alike. The potential of information and connecting to like-minded individuals is seemingly endless and coupled with a pervasive hashtag integration, you really need to have some kind of presence on this social media. Twitter is a unique creature within the social media umbrella because it has come across as a great marketing tool. The easy on #FollowFriday of sharing great resources that you endorse as well as searching the latest tweets via search lists make this a wonderful tool for your hobby, business, and ministry. At the same time, the frequency of messages you can send out is extremely high compared to Facebook or Google+. Buffer App conducted a study on the number of tweets that is idea for improving blog traffic. It found that one tweet an hour is the most ideal, whereas Facebook would show that more than one status update a day is too much. While it may look impressive that you have 1.7 million followers on Twitter, the reality is that probably only a small portion of them are active followers that truly read your message, a larger portion semi-follow you, and the rest are either bots or simply follow you because you follow them. With this in mind, we are not looking to increase the number of followers we have, but gaining real followers. With that in mind, one of the best targets of people to have as followers are those that are active users, have similar interests, and they themselves only follow a couple of hundred people. This increases the likelihood that they will not only read your material, but may act upon it. Of course, people with a low number of following and high number of followers are great, but again the number of true people reading their material will probably be much lower. We want to build relationships with people, not become another statistic in a mess of people on someone’s account. While Twitter is a great tool to get your name out there by posting links to your website, it’s best use is to network with others who have the same interest. If you are a programmer, blogger, youth pastor, or salesman, the best thing you could do on Twitter isn’t spam people with links, but become a useful resource for people. This is the perfect avenue to help people out with research on a topic, offer free advise, provide free quotes on something, and simply help however you can. This concept of helping others for nothing in the short run may seem ill advised because it does not increase profits or views on a website, but long term the impact it can have is staggering. For justification, simply look at Seth Godin! Social media has the power to not only connect people, but to waste hours and hours of your precious time. Some people are predicting that because we do not have proper boundaries online, that social media will go by the wayside. I disagree with this to a point, but do find that there are too many voices and we need to find the time and space to navigate well in the social networks. Regardless of how many people you follow, create lists of people that you will follow and keep it to a reasonable number. If we assume people tweet every hour and you have 100 people on your list, that’s 800 tweets to push through every workday. Be harsh on who makes the list and use your time wisely. Here are some of my Twitter strategy goals I’ve set for seventy8Productions that we have this year. Gain 300 followers a month with a target audience of active users who have similar interests and do not follow too many other people. Sponsor six Tweet chats through various partnering ministries, like YouthMin.org. Market blog articles and other aspects of 78P no more than six times a day and no more than 2 times per article. Keep my Twitter list under 75 people. Make at leats 50% of tweets some sort of free resource or conversation starter. What does/will your Twitter strategy look like?